Researchers have discovered a new way in which nerve cells can control movement. Researchers at Karolinska Institutet in Sweden have discovered a new way in which nerve cells can control movement. In a study on zebrafish they show that the contact between neurons and muscles is more dynamic than previously thought. The results can open up new avenues to treating spinal cord injury and certain neurological diseases. The ability to move deliberately is essential to the survival of all animal life and is based on an interaction between the muscles and the brain. The site where motor neurons and muscle cells communicate with each other is called the neuromuscular junction. This is where the neurons transfer signal substances that can be taken up by the muscle cells to make them contract. This point of contact -- the synapse -- has long been described as a relatively simple system in adult vertebrates, with the molecule acetylcholine as the most important neurotransmitter. Despite this, knowledge is lacking on how the communication is actually affected and how adult motor neurons can respond to damage or environmental change. 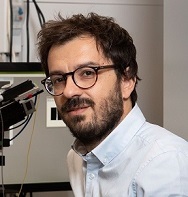 "Our study shows that the function of the neuromuscular synapses can change under certain conditions and in certain diseases in order to fine-tune movements, which was a completely unexpected finding," says assistant professor Konstantinos Ampatzis (pictured) at the Department of Neuroscience, Karolinska Institutet, who led the study. The study was conducted on zebrafish, which is a common model system in neurobiological research. The researchers show that changes in the form of an increase in physical activity and spinal damage can cause certain adult motor neurons to switch from producing acetylcholine to producing another neurotransmitter -- glutamate. The researchers believe that this is to control movements better. "Our study can open new doors to the treatment of diseases involving reduced neuromuscular transmission," says Dr Ampatzis. "More detailed knowledge on which neurons express specific neurotransmitters can enable the development of better treatments that restore function to the nervous system." Illustration: Konstantinos Ampatzis, researcher at the Department of Neuroscience. Photo: Stefan Zimmerman.